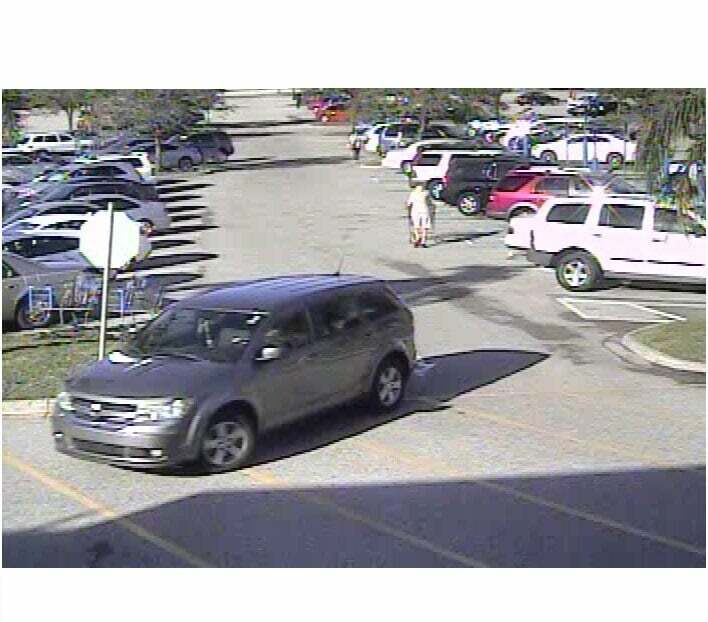 (January 13th, 2016) Cape Coral Police needs another grand theft suspect identified. On December 20th, 2015 between 9 A.M. and 9:35 A.M. the victim left his gray IPhone 6 (no cover) at the Walmart register while checking out (1619 Del Prado Blvd. S., Cape Coral). The victim returned to the register just after walking outside the store and the phone was gone. Please take a look at the photos to see if you can identify the female who is the suspect in this case. 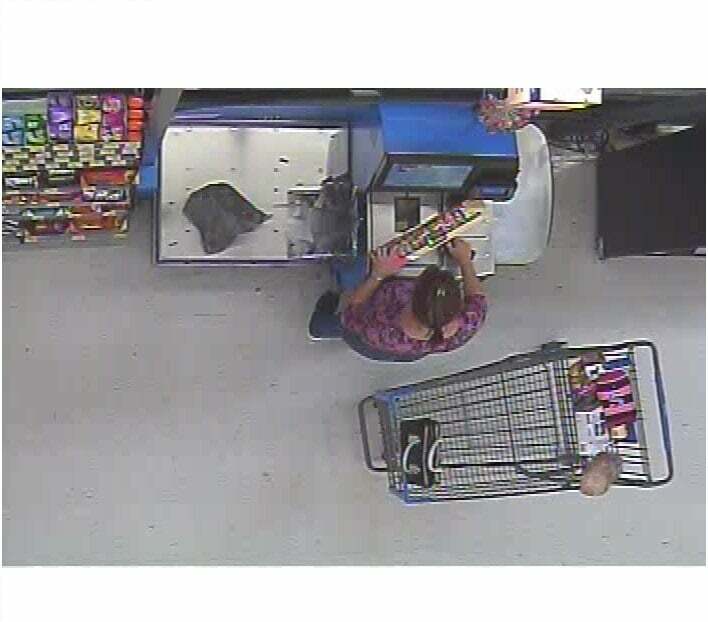 It is the white female wearing a purple shirt with what appears to be a spotted pattern. It also shows the female leaving in a gray SUV/Van. Thank you for your time in this matter.